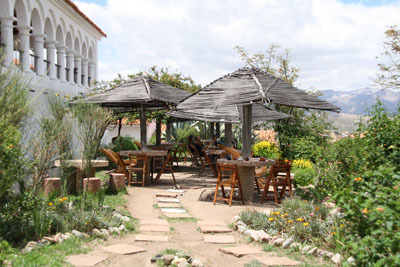 If you would like to enjoy a spectacular panoramic view over the beautiful 'White City' of Sucre whilst listening to music, drinking a fresh juice or eating a hamburger, pasta, sandwich, pancake or salad - welcome to Café Mirador. 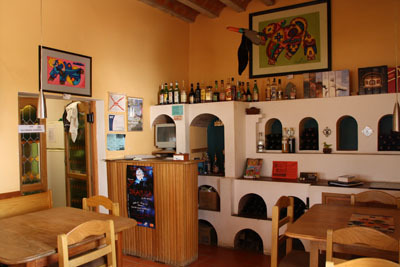 This would have to be one of the best cafés in Sucre and it is the type of place you will visit more than once. The sunny outdoor terrace set up with tables and deckchairs is a lovely place to while away the morning over a cup of coffee, meet friends for lunch or enjoy the spectacular view of Sucre at sunset. On the odd occasion it rains, you can still enjoy the view from inside the cosy cafe through the large glass window. 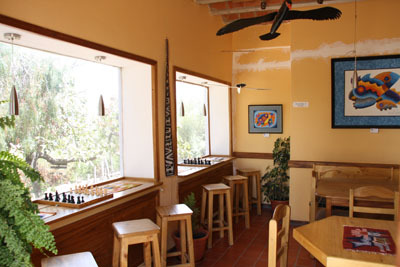 There are also boardgames to keep you further amused, not that you will need them. 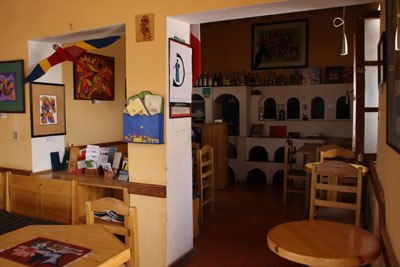 The café is situated just down from the lovely colonial style Mirador and Plaza de la Recoleta.